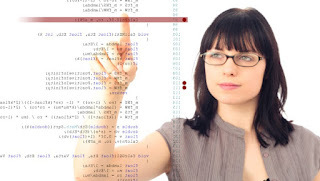 If you have recently begun exploring your options for a bachelor's or master's degree in technology, you are going to want a major that helps you land the perfect job as soon as you graduate. Here is a closer look at some of the top programs and specializations for students who want to carry over their love of technology into a promising career. There are few tech degrees that are as profitable and lucrative as a software engineering degree. Students who graduate with one of these coveted degrees are sought out by some of the largest companies in the world to help them develop customized programs. Some software engineers are enjoying six-figure salaries after just a few years of being hired into organizations such as NASA, Apple, and Microsoft. According to the Bureau of Labor Statistics, over 28,000 new web development jobs will be created in the next six years. While many of these jobs can be found at web development firms, quite a few companies are now hiring full-time web developers to help expand their web presence. A degree in this field will involve courses that teach you about database administration, systems analysis, and even graphic design. This is a great degree for tech-savvy students who are not interested in mathematics and programming. Cyber crimes continue to take place at an alarming rate, and that is why the field of cyber security has exploded in recent years. A huge volume of private information can now be found on cloud servers from around the world, and information security specialists are the first line of defense against criminals who want to steal this information. Information assurance degrees also teach students about the techniques that are used in cases involving digital crimes. This unique degree is a great option for professionals who would like to focus on the business aspect of technology. Engineering management courses typically require a bachelor's degree in technology, but the master's program will transition over to the commercial side of things. Much like an MBA, students will be able to explore career options such as technology production and design engineering. Genetic engineering relies on precise, detailed manipulation of the genetic material of organisms. This manipulation is so precise, in fact, that the naked human eye cannot observe the changes unaided. With the advancement of technology, robotics has played an enormous factor in changing genetic engineering forever. The manipulation of genetic material requires the ability to see DNA, cells, and other elements at a magnification large enough to work with. With the invention of more and more advanced microscopes and similar robotic technology, scientists are able to more clearly perform their work. They're also able to work at a much smaller scale that what could ever have been done without the invention of the most basic microscope. With today's microscopic advancements, even more is becoming possible in the laboratory because even more can be seen. Genetic engineering sometimes also requires the use of lasers or other lights. These beams are useful for making cuts, inserting material, or even manipulating photons. Robotics have played an enormous part in facilitating these manipulations. 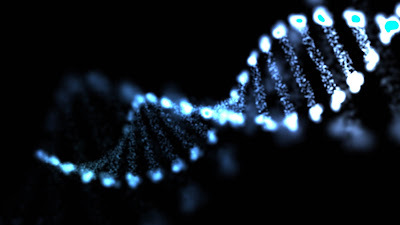 With advanced lasers now widely available for genetic research, scientists are able to perform the most delicate tasks in a rapid and accurate manner, contributing significantly to the advancement of genetic engineering and discovery. When peering into a magnified view and sending various light beams towards subject matter doesn't suffice, a variety of robotic arms are available to assist scientists. These devices take many forms but are all used to make delicate, accurate, rapid, and sometimes repetitive movements or tasks. These robotic parts are capable of achieving perfect and well-calculated motions that the human body alone cannot reliable do. They can do almost anything, from efficient colony picking to splicing genomes, almost flawlessly. Without such technology, some tasks would be impossible to complete. Others would take a considerably longer amount of time to achieve something a robotic arm could do in a split second. Robotics themselves are an advancement of genetic engineering that is changing the scope of the field. Referred to as "biorobotics", these new subjects are a combination of robotics and genetic engineering meant to achieve new feats through bio-hybrid technologies. By combining the science with the technology, researchers hope to rapidly accelerate the progress of genetic engineering for a wide variety of purposes. In so many ways, the advancement of genetic engineering has relied on and been intertwined with robotics. The more technology advances, the more the possibilities seem endless for better, more efficient research. In recent decades, for the first time in human history, more people live in cities than in rural areas. With billions of people on the planet, cities need to continue to grow and evolve so that our population can be supported. Here are some of the things we need to be moving towards when it comes to urban planning for the future. More people means more need for energy. Solar power is growing and needs to grow more. Placing solar power panels on rooftops in cities is one way to try to keep up with demand in an environmentally friendly fashion. It also helps buildings multitask in a way that uses space more efficiently. Maximizing available surface space is essential to sustaining large cities. Automobiles not only create a deal of pollution, they also compete for valuable space. They need roads to drive on, parking spaces at stores and garage space at home. Designing pedestrian friendly cities can help improve quality of life and free up valuable space within city limits. Mixed use design is essential to making this work. In order to live in the big city without a car, you need good public transit. This means you need transit oriented design as well. This kind of design is particularly challenging. It involves not just understanding what works for people, but also understanding principles typically learned by attending one of many civil engineering master’s programs to learn about urban planning. No matter where you live, you need to eat. Urban farming projects can help cut down on transit costs, shrink the city's carbon footprint and help reduce heat island effect by introducing more plants into the concrete jungle. It can also help city dwellers remain more in touch with nature and avoid raising children who have no concept of where food comes from beyond "the grocery store." The internet is helping smart cities come into being here and now. Smart can help reduce energy use, make small spaces more functional and comfortable and make city life generally safer and more rewarding. This trend is in its infancy. There is still enormous room for further development. The future is only a day away and life is speeding up. With good design principles, we can help reduce pressures and make life in the city less hectic. This is a necessary step. We increasingly do not get to choose between living in the city or the country. The healthcare industry is an ever-changing minefield with regulations and legalities. However, the thrill of combining patient care with advances in technology makes a career choice in this industry an excellent opportunity. This field allows you to work in the healthcare field without direct patient interaction. Qualified individuals help maintain patient records, databases and billing procedures, as well as maintain computer equipment and software that support doctors and nurses. Not just for factories anymore, robots assist physicians in diagnosis, procedures and surgical interventions. A degree in this field will offer high-end pay to develop and maintain robotic components for healthcare. Engineers with these degrees also help develop software for specialized computers for individuals who are wheelchair or bed-bound. If gadgets are your thing, this degree teaches the skills to help develop instruments to improve the quality of life for the ill and injured from pacemakers to prosthetic limbs. Engineers in this field also develop the computer software to help maintain devices like pacemakers, defibrillators and the larger diagnostic machinery such as MRIs. A degree in radiology affords students the opportunity to learn management skills as well as work with the best technology and imaging available. Ultrasounds for pregnancies, echocardiograms for heart checks and mammography machines for cancer screens all require the skill of a radiology technician. X-rays, MRIs, CT scans and radiation for cancer patients are also good areas of study. Visit here for more information about the program. Use a nursing or certification degree in this niche field to help patients with kidney disease who require trips to a clinic several times a week to clean their blood. Consider a dual course of study as a technician for face-to-face patient care and an engineer degree to help develop better technology to improve the patient's quality of life. Developments are being made for at-home dialysis and portable dialysis machines. Use state-of-the-art lab equipment to diagnose and treat disease. Research new cures and surgical methods working alongside colleagues with varying specialty degrees. Genetics is booming with new technologies and developments to educate patients and their families regarding diseases and family planning. Labs and manufacturing companies are looking for skilled people to develop new drugs and bring them to market. Careers in healthcare can go far beyond nursing and medical degrees. Think outside the box for the most exciting, tech-savvy jobs available in this ever changing market. Basically this app consist of huge library which makes the easier way for the users to create its own music. Its user friendly feature makes its easy for the user to create his own music. The long list of plugins with effects makes it simply different among others. 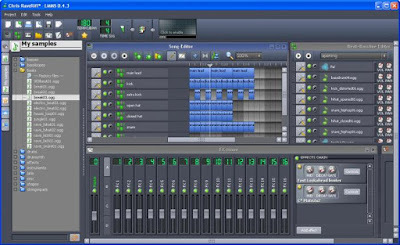 The user can easily mix the music with tons of instruments and sound effects. 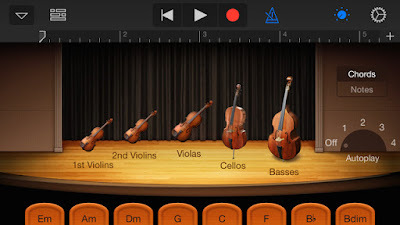 Garageband, developed by Apple, is an awesome app to record and create music compositions easily and effectively. The most fabulous free app is developed by Apple and gives you many options to edit music , add effects, audio recording, mix rhythms etc. One can easily install Garageband for PC or Mac easily and enjoy composing the music. The sperb Guitar featues, Music lessons, musical instruments of this app makes it an astounding app among others. 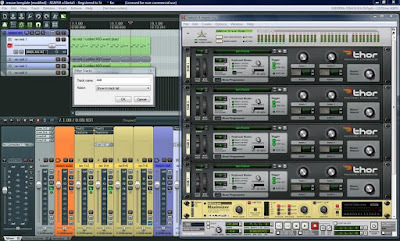 LMMS is basically a free app which consist of user friendly interface through which the user can easily mix music, sequence music etc. 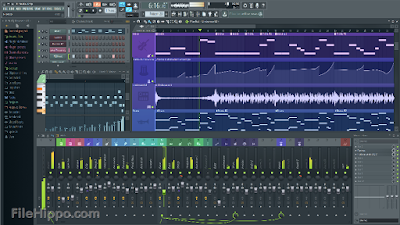 Also this app consist of FL studio through which one can reliably produce the own music. The user friendly interface can simply compose the music, songs etc. Also you can use different variety of musical intruments with the several effects to generate music compositions. This popular software consist of amazing user interface with the added features. You can use it easily for free but to upgrade it to use the extra ordinary features you need to purchase the paid version. Its multi touch functionality is available with lots of amazing features to compose the music efficiently. Being a great app to create the music, it can be easily downloaded. This app is also the best among the other apps. With the help of this app, one can easily edit the audio, can able to add effects in it and can also use several instruments as well. There are so many other features which will help the user to create or edit the music as well. Therefore, if you really want to create your own music composition or you want to edit any music audio that you liked it, you can do it easily with the help of these amazing 5 apps listed above.